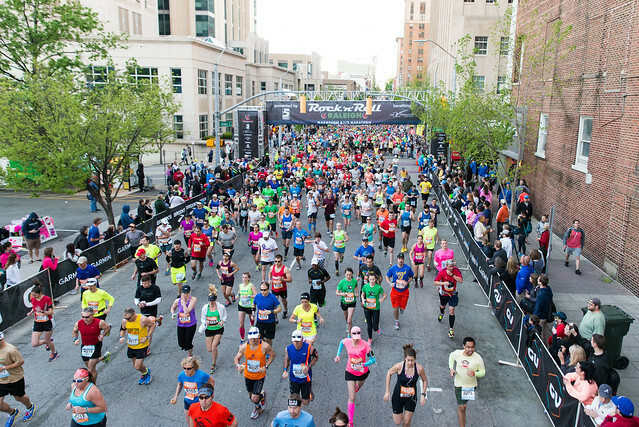 The 2015 Rock ‘n&apos; Roll Raleigh Marathon & ½ Marathon generated $5.6 million in total economic impact and $3.1 million in direct visitor spending. Those were the findings of an economic study conducted by San Diego State University. The study also determined that Rock ‘n&apos; Roll Raleigh attracted more than 8,000 visitors to Wake County and created 3,655 total hotel room nights. In addition, the event was responsible for $199,000 in taxes and fees generated. The third Rock ‘n&apos; Roll Raleigh Marathon & ½ Marathon is set for April 10, 2016.